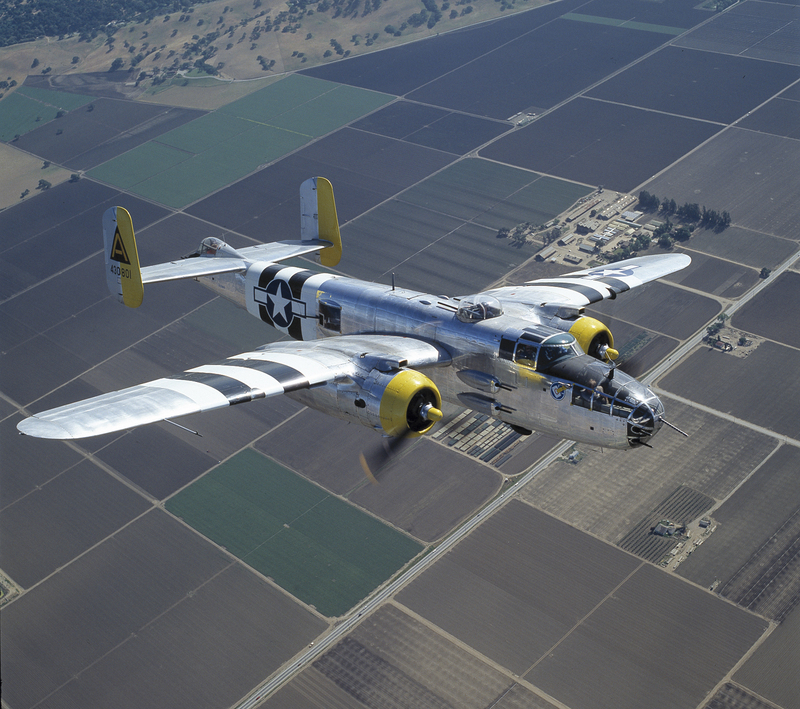 The B-25 Mitchell was the first US aircraft to retaliate against the Japanese mainland during the Second World war. Led by famous pre-war racing pilot, Jimmy Doolittle, 16 aircraft flew from the USS Hornet aircraft carrier to attack the Japanese mainland, the survivors flying on to China. This was the more remarkable in that the aircraft was never designed to operate from carriers and was purely a land-based bomber. This particular example was photographed over Northern California’s central valley.